Pope Francis: Even Atheists Can Be Redeemed : Parallels After the popes comments, headlines proclaimed, "Even Atheists Can Go To Heaven." A Vatican spokesman quickly intervened and said this was not the case. Still, the remarks were in keeping with a pope who is emphasizing inclusiveness and wants to speak to a global audience that reaches far beyond the Catholic Church. Pope Francis, shown here at his weekly general audience in St. Peter's Square at the Vatican on Wednesday, has emphasized inclusiveness in many of his speeches. In recent remarks, he reached out to atheists. Pope Francis has been in office for just over two months and has been making headlines for many remarks that emphasize inclusiveness, contrasting sharply with his predecessors' style and apparently even with centuries-old Catholic dogma. The latest was a statement last week that all human beings, even atheists, can be redeemed. The pope was delivering a homily in the chapel of the Domus Santa Marta residence inside Vatican grounds where he has decided to live. He recites mass and delivers a homily there every morning except Sunday for Vatican employees and whoever else might be staying at the residence. "The Lord has redeemed all of us, all of us, with the Blood of Christ: all of us, not just Catholics. Everyone! 'Father, the atheists?' Even the atheists. Everyone! And this Blood makes us children of God of the first class. We are created children in the likeness of God and the Blood of Christ has redeemed us all. And we all have a duty to do good. And this commandment for everyone to do good, I think, is a beautiful path towards peace. If we, each doing our own part, if we do good to others, if we meet there, doing good, and we go slowly, gently, little by little, we will make that culture of encounter: We need that so much. We must meet one another doing good. 'But I don't believe, Father, I am an atheist!' But do good: We will meet one another there." Headlines across the world immediately proclaimed, "Even Atheists Can Go To Heaven." A Vatican spokesman quickly intervened. Father Thomas Rosica said "people who know the Catholic Church cannot be saved if they refuse to enter or remain in her." The Vatican spin tried to dampen the media hype. Nevertheless, the remark was another example of this pope reaching out to an audience that goes well beyond the church. The pope previously said atheists can be "precious allies" in the building of a peaceful coexistence between peoples and in the careful protection of creation. This is the style of a parish priest who wants dialogue with his flock and beyond. And it is in stark contrast to the style of Francis' immediate predecessor, Benedict XVI, who was much more restrained and had a bleaker view of the world. Benedict's carefully prepared speeches were heavy on theology. Francis uses a conversational, down-to-earth tone, and to the dismay of the Vatican press office, he often improvises from his prepared text. He talks about his personal history and gives homey anecdotes about his mother and grandmother. He even said recently that he sometimes nods off to sleep while praying. Benedict rarely gave any hints of his personal history. Rather, he focused on the dangers of the contemporary world. 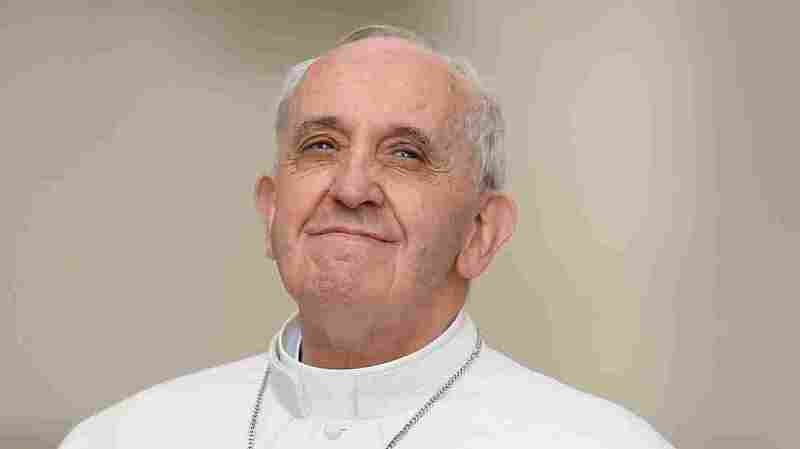 Francis seems to have a more optimistic personality, and he loves to mix with the faithful in the huge crowds in St. Peter's Square and shake hands and kiss babies. Another issue Pope Francis has been focusing on is poverty and economic injustice, prompting some financial commentators to label him anti-capitalist. What is clear is that he is opposed to "laissez-faire capitalism." "Unbridled capitalism has taught us the logic of profit at all costs, of exploitation without regard to persons," he said in one speech. He fiercely criticized the "cult of money" and said the origin of the global financial crisis was the lack of "person-centered ethics in the world of finance and economics." And he also noted that "if investments in the banks fall a bit, [it's a] tragedy.... but if people die of hunger, if they don't have enough to eat or aren't well, it doesn't matter." This is tough language, and it's a signal that concrete issues like poverty and globalization are going to be key issues of his papacy. Francis has already been dubbed the first global pope — his focus is far beyond just Europe and the developed world. Francis inherited a church in disarray and plagued by scandals. Up to now, the changes in the new papacy are style and tone. Vatican watchers are waiting to see what real changes the new pope might bring in areas such as sexual ethics and dealing with the massive Vatican bureaucracy. So far, one key move has been his appointment of a committee of eight cardinals, all but one from outside the Vatican, as his advisers. This is seen as a shift away from absolute monarchical rule of the Vatican to more collective church management. There's also the issue of the Vatican Bank and its murky dealings. Italian authorities have long suspected it of being involved in money laundering and other illegal activities. Last week, the Vatican issued its first report on the Holy See's financial dealings, saying it found six suspect transactions in 2012, acknowledging that was five more than the previous year. The report was hailed as a sign that the Vatican intends to be much more transparent and rigorous in its financial operations.